A blue plaque is being unveiled this week to honour former Barrister, civil rights activist and Lambeth Councillor Rudy Narayan. Born in Guyana in 1938,(-1998) Narayan moved to Britain with his parents and sibling in 1953 and became one of the Black communities leading Barristers. He helped set up the Society of Black Lawyers and was also a leading civil rights activist. 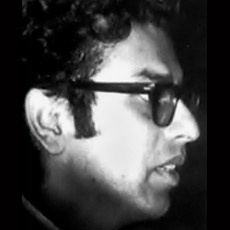 Narayan specialised in trials arising from disputes between black people and the police. He was a co-founder of the Afro-Asian and Caribbean Lawyers Association in 1969, later renamed the Society of Black Lawyers. During his career Narayan had a number of tussles with the legal establishment, many to do with accusations of racism. The many complaints and legal battles and campaigning led to the creation of the Bar Council's race relations committee in 1984, and an amendment to the Race Relations Act to prohibit race discrimination in the legal profession. Narayan was also an author and a TV series – Black Silk was loosely based on his life and work. Narayan was elected as a Labour Party councillor to Lambeth London Borough Council in 1974, and served one term. He defended clients in trials rising from city uprisings such as the “Bradford twelve" and many from the St Pauls riot in Bristol. Jak Beula, Chari of the Nubian Jak Community Trust who help organise the plaque said: “Rudy meant so much to a lot of people in Brixton. His heroism crossed all cultural divides and it is pleasing that someone who had Brixton in his heart, should be honoured with a blue plaque in the heart of Brixton”. Submitted by Anonymous on Tue, 16/11/2010 - 22:02. A man who served in the Armed Forces and should, by virtue of his skills as an advocate and the strength of his Criminal law practice, have become the first Black Queen's Counsel. He was denied "silk" because could not bring himself to play the game the way they wanted it played. He was a rebellious Caribbean. Submitted by Bomber25 (not verified) on Sat, 20/11/2010 - 16:56. "The many complaints and legal battles and campaigning led to the creation of the Bar Council's race relations committee in 1984, and an amendment to the Race Relations Act to prohibit race discrimination in the legal profession." How sad that it has taken a racist New Labour Government thirteen years to undermine this good work.